I'll meninju, pukulan anda in the face if anda call me soft.... Duncan: ... I'm gonna have a lot of punching to do. ¬_¬. 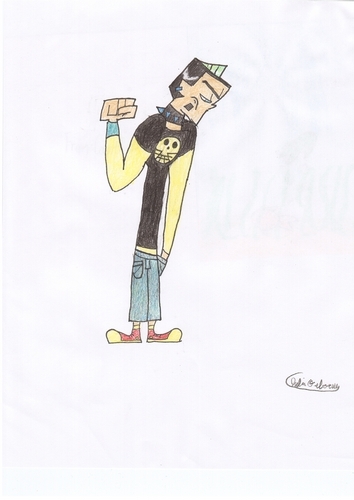 HD Wallpaper and background images in the TDI's GwenxDuncan club tagged: duncan gwen aww. me: Noooo because you loooove Gwen! Admit it Mr. Marshmellow! me: Duncan and Gwen sittin' in a tree! K-i-s-s-i-n-g! me: DUNCANS SOFT AND LOOOOOOOOOVES YOU! >:D your welcome ! and i very much love the pic! ur AMAZING at drawing! Gwen:Duncan look what you did! Duncan:She kept calling me a softie! Gwen:Duncan,I'm your best friend,why didn't you tell me this? Me:NO!! !You said that you're IN LOVE with her! Duncan neals down in one knee and pulls out a black box,he opens it and reveals a dimond ring. Me:Can I come to the wedding? Me:*Covors Courtney's mouth*Who invited her!? !